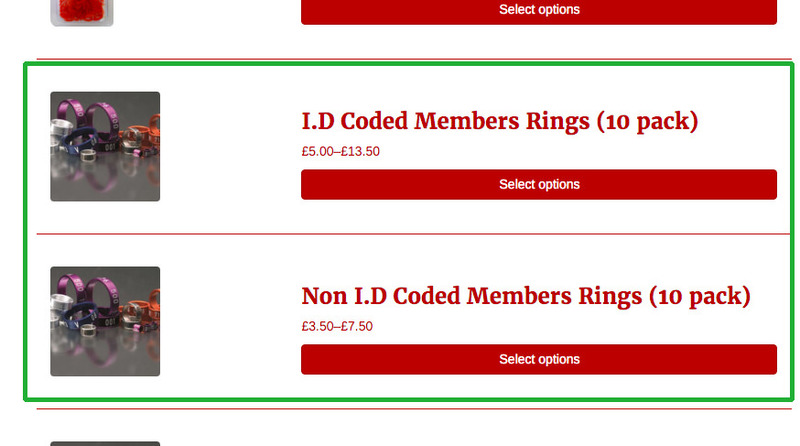 Alternatively the members ring options can also be found in the rings section of the shop itself. 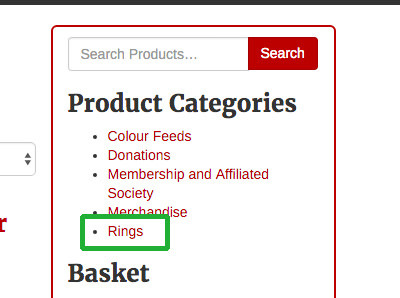 The easiest way to find these is to click the ‘Rings’ product in the right menu and then the rings will be shown. How do I get a member login for the shop? 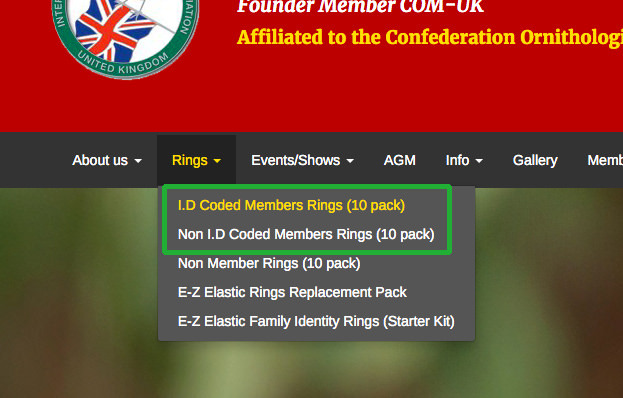 To order I.D coded rings you will need to first become a member of the IOA, when you are confirmed as a member you will be sent login details for the online shop where the facility to order members rings will become available. For further details and benefits to becoming a member please view our membership page.